Once the video is added to your design, you have several options for how the video will be displayed. 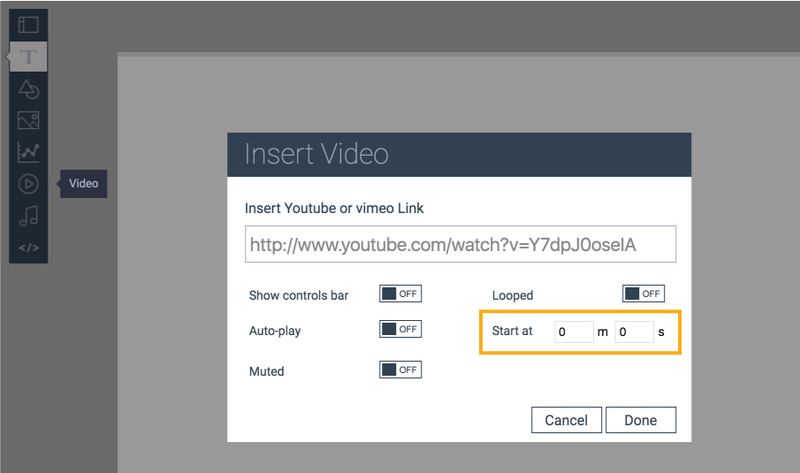 Select the Video Tool to find options for how you want the video to be displayed. Choose from the options available: Autoplay, play on a loop, or start at a specific point of time. Simply set the timer for 10 seconds, click done. Select Preview from the top right of the screen to see if this is how you want it to appear during your presentation. Click Close Preview at the top right, to return to the Editor mode.